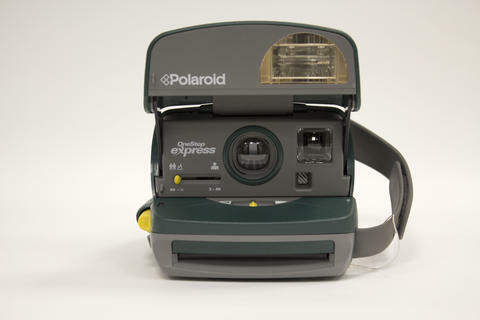 Item is a snapshot camera with built-in flash for instant photographs with Polaroid 600 film. Includes a close-up feature, fold-down flash bar and single element, fixed-focus plastic lens and automatic exposure metering. Camera body is green plastic. This model was built in England.